Pan India 3G mobile service operator Bharat Sanchar Nigam Ltd (BSNL) today announced the launch of two new long validity 3G Data Plan” for Rs.2500 and Rs.5000 with 6 month validity for its subscribers in all telecom circles across India. 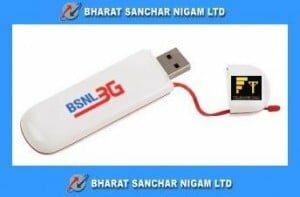 BSNL’s New Prepaid 3G Data Recharge Voucher (DRV) of Rs.2500 offers 12 GB FREE data usage while with Data Plan of Rs.5000 subscriber will get 30 GB Data usage benefits. Both 3G Data Recharge Voucher comes with the validity of 180 days from the date of recharge and can be used on Mobile Phone as well as 3G Data Card. The 3G data usage will be valid for Home as well as National Roaming across India.The new plans will be available from 6th June,2011 on Pan India basis. dear manoj your comments on ex telecom minister shri.Dayanithi is not only a learned thief and public servant who has to be investigated and put under imprisonment without any delay.